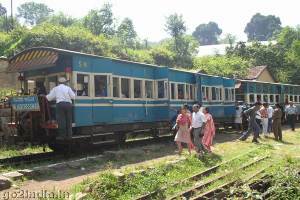 This toy train service was first started between Coonoor and Mettupalayam during 1899. 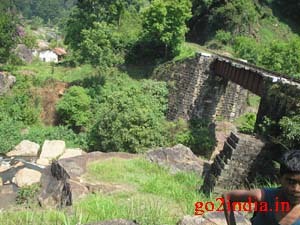 But the line was extended upto Ooty during 1908. The passenger service was started on 15.10.1908 from Ooty to Coonoor. This is the only heritage train and runs at the highest elevated place in Southern India. 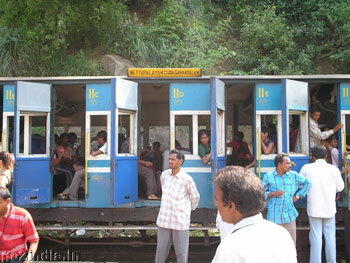 The service comes under Nilgiri Mountain Railway (NMR) and is a major tourist attraction. Approximately 5 lakh people travel every year in this toy train. Below are few of our experience during the journey by this train. We left Mettupalayam at 7.30 AM and the train started traveling at a speed of not more than 12 KM/hour. This train covers a distance of 46Km in a five hours journey passing through Hilligrove, Coonoor, Wellington, Aruvankadu, Ketti, Lovedale stations and finally ends at Udhagamandalam or Ooty. At the starting of the journey for nearly half hour the train traveled through Jungle but plain area. The hills started after that and temperature started falling as we climbed up. During every start in the hill slopes the engine gives a jerk in trying to push the train from behind. After traveling three or four KM in the hills, train stopped as one tree has fallen and cutting and removing work was going on. After a brief stop of 10 minutes train started climbing again. Lights inside the compartments were switched on as the train started moving inside the dark tunnels. There were few long tunnels and most of the tunnels were short in length. There were water in the small rivers and waterfalls even during the month of pick summer (month of May). During the journey most of the time the valley was in the left side of the train. The road from Mettupalayam to Ooty was visible from the train and was crossing the train line in many places . One can flick flowers through open windows of the compartments at unscheduled stops of the train. Steam engine was stopping after every one hour of journey to take water in small stations during its journey of 19Km up to Coonoor. This opportunity was utilized by all travelers to jump out and take photo of the train and the surrounding hills. At Coonoor steam engine was replaced with a diesel engine for the last part of the journey ending at Ooty. As we moved towards Ooty, there were tea gardens; valleys with pine trees were visible through open window of the compartments. There were very brief stops after Coonoor but enough to take a cup of coffee. Finally we reached Ooty at 1 PM delayed due to tree cutting and late starting at Mettupalayam. The platform at Ooty was already full with tourist waiting for this train to board its return journey to Mettupalayam. During five hours of journey the train has passed through 16 tunnels and 250 bridges. This train does not have toilet facility in its compartments. please tell me tanswer on my id please send me massage. when yousend me massage i am very happy. This train line connects Mettupalayam to Ooty both inside Tamilnadu state. How do we book a ticket in advance for toy train from metupalaiyam to ooty? let me know the best time to visit. i got a chance to travel in the heritage train last week at ooty. wat an nice experiance...if u go to ooty dont miss that train trip. 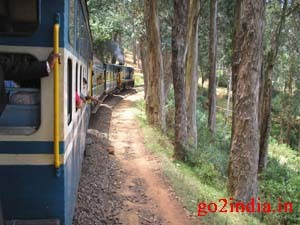 plan accordingly by booking the train travel.u can view all the inner parts and beautiful ooty by this travel. gud luck..! We are Sixteen Peoples,We want to book the traon from Ooty to Koonoor. Please give the train timing and Ticket Reservation Procedure? Is the hill train from Metty to Oorty running these days or was there too much damage done by landslides a month ago? We heard reports that roads into Ooty, Coonoor, etc were closed for this reason. is the train available now? because of the land collapse on the way.. I assume that the train service hasnt yet ressumed after the Landslid last?? B\'cos when I try to book tickets in Train no:662..it says TRAIN CANCELLED for any day you try to book.. The Nilgiri Express Train currently runs only from Udagamandalan to Connoor and back, its a one and half hour journey (one way), the tickets can be purchased on spot. Departs Chennai at : 9 p.m.
You have to book tickets in advance else you know what you will get in Indian Railways. 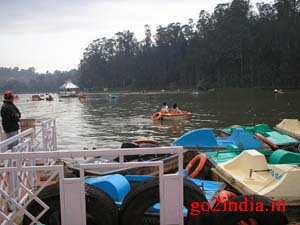 now we planned a tour on 27th and 28th March 2010 to OOTY. My Doubt is Toy Train is Running or not? Can we have the tour journey to travel in it? now this train is available to travel..i heard this train stop the services.please inform me if the train is available or not. is the old steam working again? This train service was temporarily stoped due to mud slide on the tracks in Sep.2009. Now everything is cleared. The services resume from may 1,, 2010 onwards. Can I opt train to go to MTP From ooty? Is there any trains running from UAM to MTP ? How can i book the same? what is the timing of return the toy train..? ( ootty to mettupalayam ) ? can any one tell me, what time I can catch this train from Ooty? What is the timing of the train from ooty to mettupalayam? How I can get advance booking nd what are the charges? Kindly provide me this information. now ooty toy train ll be running are not? we are staying in ooty for a week from28th to 4th. how do i book tickets for toy train from ooty to coonoor? We r planning to move to Udagamandalam from mumbai(maharashtra) in this season so, pls give info of which train will go for the same. Can you please tell me how to travel (preferably by night) from Kerala to Ooty (where I want to spend only 1 day) to Mysore (another day trip) and from there, to Banglore (2 days' trip)?? 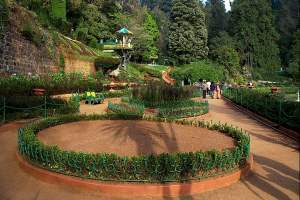 how can i book accomodation at OOTY through Tamilnadu tourism corporation? Can anybody help in this regard? What is the Difference between FC and 2S in the above train .Can any 1 please help me. Whcih 1 will be good to travel to ooty from Mettupalyam. please tell me the answer on my id please send me massage. Mettupalyam to Connoor- train is always under repair. Coonnoor to Udagamandalam (Ooty) we have trains regularly. Has the Toy train been repaired ? 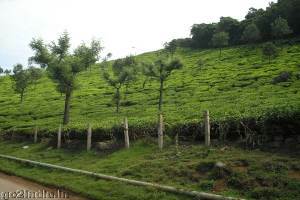 What are the timings from Ooty to Mettupalyam and from Mettupalyam to ooty? How do we book a ticket in advance for train from metupalaiyam to ooty?online bokking there.how? In this Toy train Tatkal is available ???? Please tell me the train number and station code for toy train from mettupalayam to Udagamandalam so that i can book my tickets for twoways by online. I'm coming from Hyderabad - A.P. Waiting for revert. 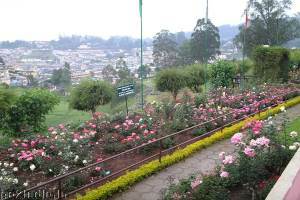 we are staying in ooty for a 2days. how do i book tickets for toy train from ooty to coonoor? I need the train fare for mettupalaiyam from chennai for first class & second class also. Please tell me how can i book the ticket from mettapaulum to ooty.Please suggest me. 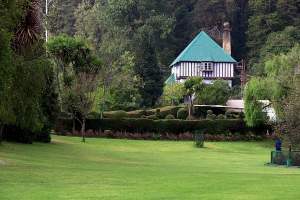 Me and my spouse with two kids 5yrs old and 9yrs old are going to ooty from 18th to 21st April 2013. Do we have to take warm clouths ? REPLY FAST PLEASE. please reply me with the refund rules in toy train for cancellation.